↑ 1.0 1.1 "Statistics". Rajkot Municipal Corporation. Archived from the original on 17 October 2007. สืบค้นเมื่อ 19 December 2007. ↑ "Ward details". Rajkot Municipal Corporation. Archived from the original on 17 October 2007. สืบค้นเมื่อ 19 December 2007. ↑ "Statistics". Rajkot Municipal Corporation. Archived from the original on 17 October 2007. สืบค้นเมื่อ 19 December 2007. 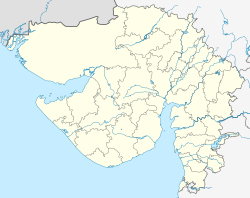 ↑ "Rajkot Municipal Corporation Demographics". Census of India. สืบค้นเมื่อ 5 June 2016. ↑ "Rajkot City Census 2011 data". Census2011. สืบค้นเมื่อ 5 June 2016. ↑ Census of India Retrieved 2015. ↑ "10 clean cities that make India proud". Rediff. 8 October 2014. สืบค้นเมื่อ 27 July 2015. หน้านี้แก้ไขล่าสุดเมื่อวันที่ 28 พฤศจิกายน 2561 เวลา 11:56 น.